Protecting forests isn’t just critical for the health of our planet; it’s also smart business. According to a recent report from the World Economic Forum and Tropical Forest Alliance 2020, deforestation-free supply chains for beef, soy, palm oil, and forestry products represent an annual investment opportunity worth $200 billion. This shift in business and financial strategy could not come sooner for the world’s most threatened forests, especially Latin America’s Amazon rainforest, Cerrado savannah, and Chaco woodlands. Between 2000 and 2011, they accounted for one-third of the world’s tropical deforestation, even though they occupied only 25 percent of the tropical forest footprint. For the past few decades, efforts to eliminate deforestation in the Amazon have significantly slowed deforestation, though in recent years, the pace has started to pick back up. 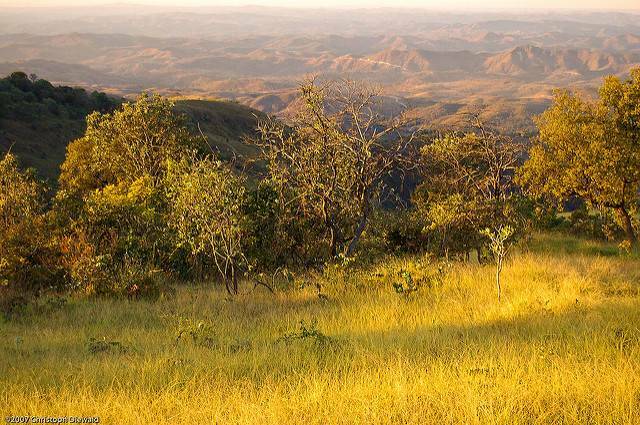 Unfortunately, as protections took hold in the rainforest, agriculture expanded into neighboring forests such as the Cerrado and Chaco, driven primarily by rising demand for beef and soy. The benefits of protecting forests run the gamut from the mystical to the monetary. Economically, deforestation-free production and sourcing delivers immediate benefits for companies that can meet growing demand from consumers who want to buy products they can feel good about. When companies couple deforestation-free policies with robust traceability and monitoring programs, it can significantly mitigate the legal, financial, and reputational risks that illegal products—such as those that are planted on illegally deforested land or harvested by illegally bonded workers—are hidden in their supply chain. Increasingly, deforestation-free producers also can forge preferential supplier agreements and longer term contracts. These tools can create a virtuous cycle, giving farmers the assurance they need to invest confidently in more sustainable practices. The risks of inaction are too great to ignore. Locally, the destruction of forests can prolong droughts, intensify flooding, and degrade soil. Indeed, the Amazon has suffered several once-in-a-century droughts and floods in just the last 15 years or so. Globally, deforestation contributes to the build-up of heat-trapping gases in our atmosphere. Taken together, these forces can depress agricultural yields, disrupt supply chains and trade, and even destabilize social and political structures. Deforestation-free production and sourcing mitigates these impacts. It will take the entire value chain working together to protect these forests. Consumers can demand deforestation-free products from the grocery stores and restaurants they patronize. Those retail operations, in turn, can demand those products of their suppliers. Traders, input providers, and financial institutions can provide the tools and support that farmers need to shift production practices. More than 400 companies have made more than 700 pledges to protect forests and forest communities, though a minority of them are engaged in beef and soy production. And moving from commitment to achievement is challenging. Numerous joint initiatives and individual efforts create confusion, as do the hundreds of different definitions for “forest”. World Wildlife Fund is working with the National Wildlife Federation, The Nature Conservancy, and the Gordon and Betty Moore Foundation to help companies fulfill their commitments to protect forests, focusing on the beef and soy supply chains sourcing from the Amazon and Cerrado of Brazil, and the Chaco of Argentina and Paraguay. Together, we’re harmonizing definitions and policies to facilitate an industry-wide movement, creating monitoring and mapping tools to track companies’ progress, and collaborating with the financial sector to increase capital flows and reduce risks of implementing deforestation-free policies. Carlos Saviani is Vice President of Sustainable Food for the World Wildlife Fund (WWF).